Medium hold, easily slick back hair look. Not for wild spiky styles. Very shiny look. Can leave hair feeling greasy and sticky. More slick back look over texture. Inexpensive, can be found on the web for ~$10. Locally at department stores, can cost double. Can be used with short or long hair. Better for straighter hair. Easily tame frizzy hair. Works better for thicker hair. Doesn't stand up to humidity. Otherwise, lasts all day hold. Can restyle throughout the day. A little goes a long way, otherwise your hair can become very greasy. This cream has medium hold and a lot of shine. It can easily be used to create a slicked back smooth look. Because of this, it is not suited for a messy or spiked up look. I found that you need to apply a lot with longer hair. It also tends to seem heavy and sticky on the hair, almost greasy (however, this might be what you’re going for?) It does have a smell, but I wouldn’t say it’s an overbearing smell. Actually, most comment on liking the smell. It can also be used for curly hair as well. 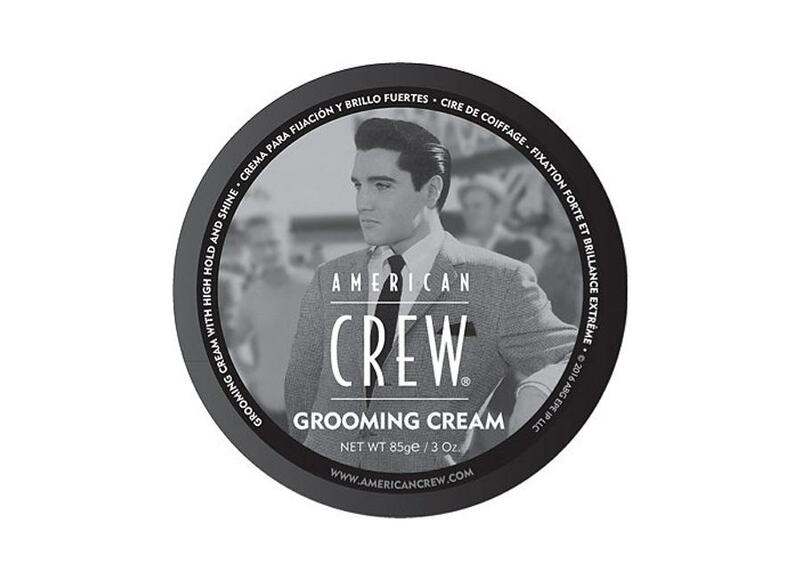 American Crew Grooming Cream is petroleum based, making it a bit harder to wash out of your hair. It will wash out, but it just takes a bit more shampoo. This cream is also a bit pricy, but well worth it compared to the comparable hard crunchy feeling a gel might get you. I will also warn you that once applied (of course depending on your hair length and how much you apply), it becomes hard to run your hands through your hair without getting product on them. However, this can be a huge plus because once again unlink gel, this cream is extremely reworkable.